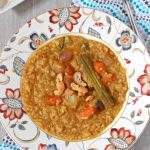 This recipe is a combination for Thiruvadharai Kali. Thiruvadharai or Aarudhra darshanam is celebrated in the month of margazhi. This kuzhumbu is made of seven vegetables. When I was talking to my mother this morning, she was mentioning that traditionally this was made with up to 21 vegetables. The bottom line is use as much as vegetables you get your hands on. 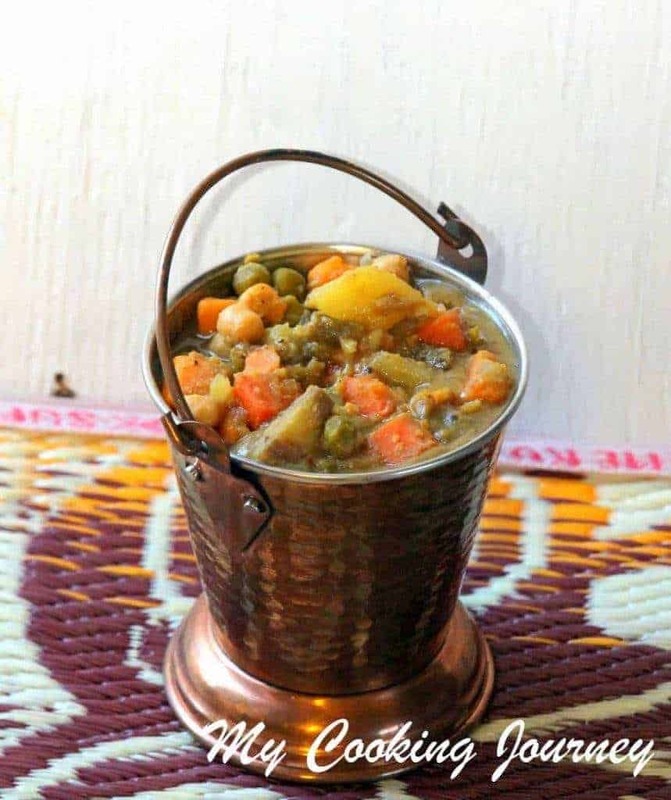 When doing a little research on the background of this recipe, I came to know that during this month, the farmers harvest root vegetables and hence this recipe is made of many root vegetables. 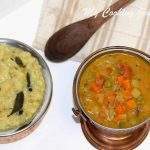 The list of vegetables that can be used (to my knowledge) are, potatoes, sweet potatoes, raw banana, sepangazhangu, senakazhangu, yellow pumpkin, white pumpkin/chow chow, mocha (Broad beans), avarakkai, bean, carrot, peas, kondakadalai (chickpeas). 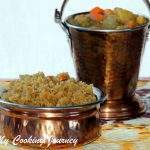 This recipe is also made on Pongal/Sankranthi day to accompany the Chakkara pongal (sweet Pongal). This kuzhumbu is also known as ‘Ericha kuzhumbu’. 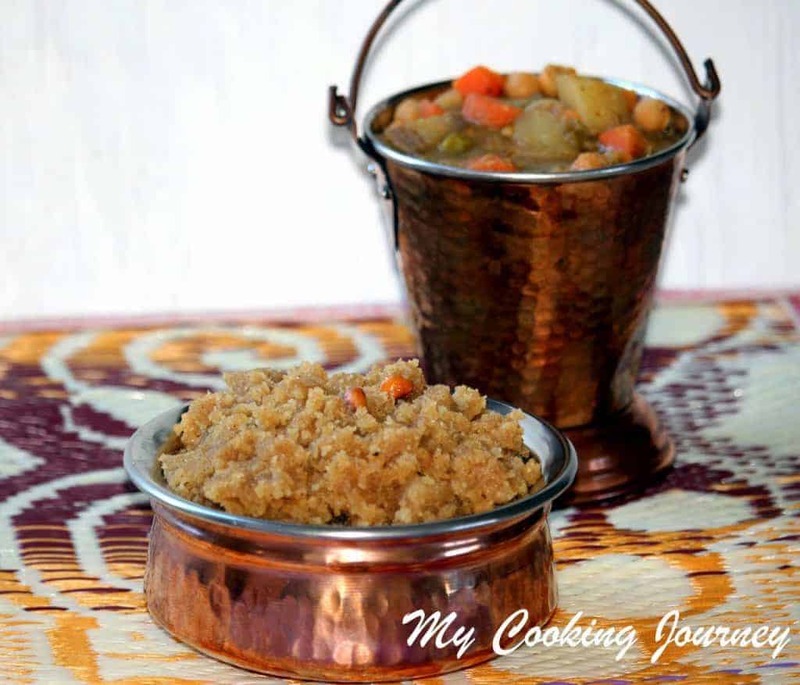 This used to be one of the recipes that people in olden days used to carry over and it tastes great over the period of next couple of days. Little bit more of jaggery or brown sugar is added each time the kuzhumbu is heated and it is heated through entirely and thoroughly to keep it from spoiling. 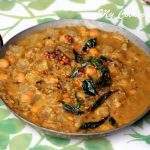 The ericha kuzhumbu tastes wonderful with dosai. Pressure cook the toor dal and keep aside. 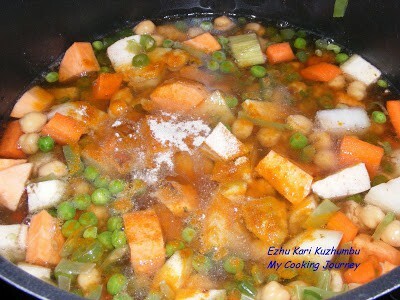 Cut the vegetables into medium size chunks. This could be done the night before to ease the process. Soak the tamarind in water and squeeze the juice. 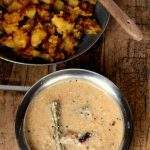 Combine the vegetables with the tamarind juice and add the Sāmbhar powder and asafetida. Do not add salt at this point. Let the vegetables cook well and then add the salt. Meanwhile, fry all the ingredients mentioned and grind it into a smooth paste. 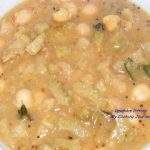 Let the Sāmbhar boil well and check the vegetables, if they are cooked. This could take at least 45 mins, since certain root vegetables take longer to cook. Once the vegetables are cooked, add the salt and let it boil once. Now add the ground mixture and the cooked dal and let it come to boil. Let it simmer for 15-20mins and then add the jaggery. 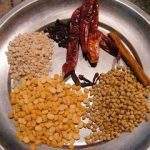 Season it with mustard seeds, urad dal, asafetida, and curry leaves. Serve hot with kali. 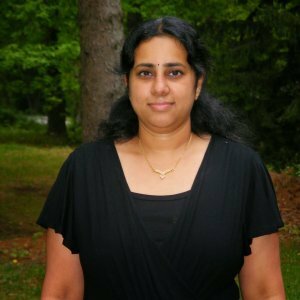 Thanks a lot Preetha 🙂 Yours was really good too..Thanks for sending some back with us. See you soon. 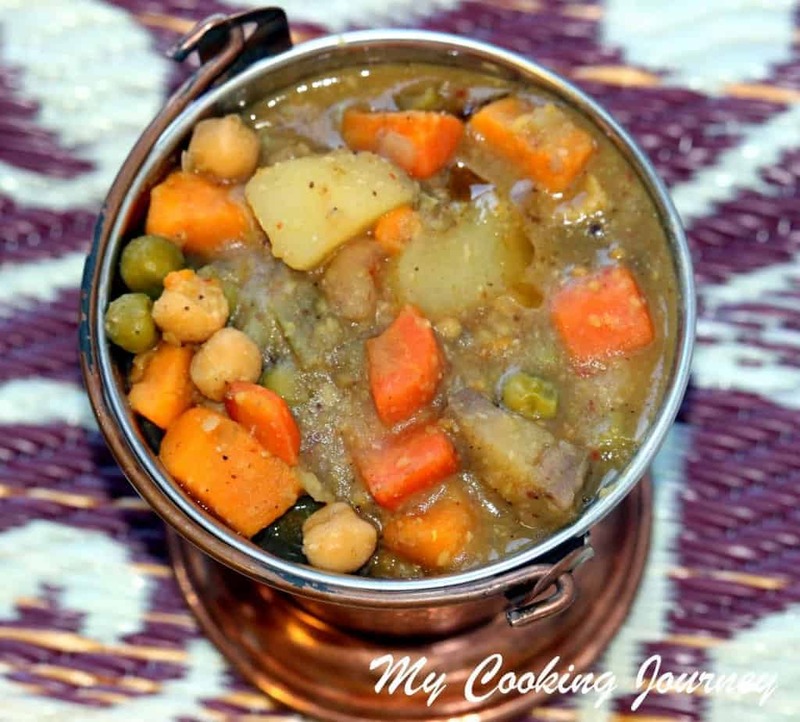 Wonderful recipe, very tempting to try.thank you for sharing. 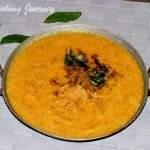 You have mentioned 2 cups of toor dal for this recipe. 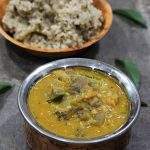 Is it cooked toor dal 2 cups we have to use for this recipe or do we have to cook 2 cups of toor dal? 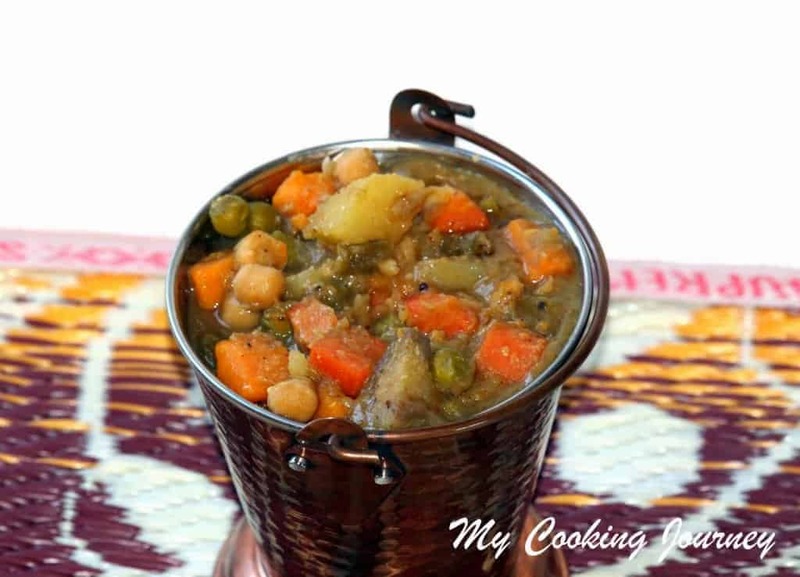 Overall, how many cups of vegetables we can use for this recipe ( for the given ingredients)? Is tomato needed for this recipe ? Beginner in cooking, please clarify my doubts. I like to make this recipe eagerly.Thank you. 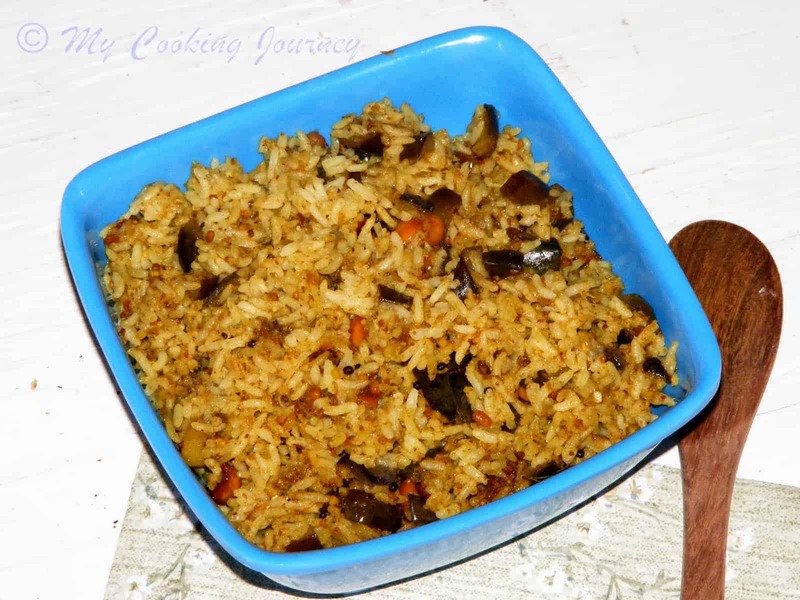 Look forward to your reply sister to try this wonderful recipe. Thank you.